Retiring Sen. Jeff Flake (R-Ariz.) is gumming up the work on judicial nominations during the lame duck session before Christmas, promising to vote no on any judges nominated by President Donald Trump on the floor and to vote block any brought out of the Senate Judiciary Committee. 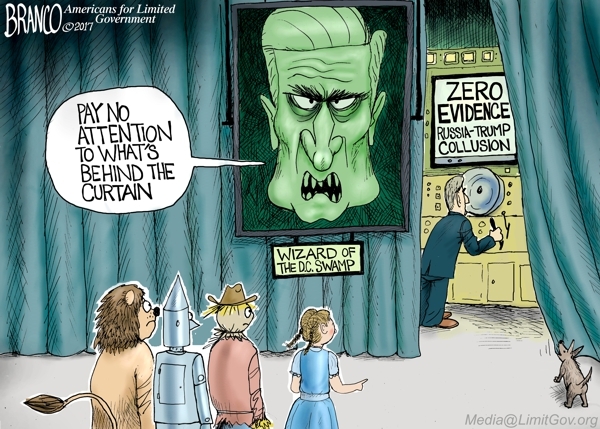 The FBI and the Justice Department were getting bad information about the Trump campaign and colluding with Russia. For example, former Trump attorney Michael Cohen, who is now pleading guilty to making false statements to Congress, was said by Steele to be in Prague in the summer of 2016, allegedly meeting with Russian intelligence officers to clean up the Wikileaks mess. There’s only one problem. Cohen was never to Prague. He even showed his passport to Buzzfeed to prove it. And now Cohen lawyer Lanny Davis confirmed that Cohen had “never, ever” been to Prague. Finally, the new plea deal has nothing to with the Prague trip that never happened, it had to do with when Cohen says a potential real estate deal in Russia that never happened was being discussed.